Turn any frozen fruit into soft-serve with the Original Healthy Dessert Maker! Fruit Soft Serve Machine: Turn 100% frozen fruit into a smooth "ice-cream" like treat in seconds without additional fat, sugar or preservatives. Create Healthy Frozen Dessert: Included recipe book with 36 recipes will help you create simple, homemade desserts like pies, parfait, or sorbet! Perfect snacks for the whole family. Easy to Clean: The chute assembly, plunger, and blade are dishwasher safe (top rack of dishwasher). For International or 220V products, please contact us. A bowl of Simply Yonanas (1/2 C serving) = approximately 100 calories. Bananas are high in potassium, a mineral that helps in the building of muscles and protein synthesis. Bananas contain all natural energy from three natural sugars: sucrose, fructose and glucose. No other fruit contains more digestible carbohydrates. When you add in other fruits and nuts like raspberries, strawberries, blueberries, peanuts, almonds to the base of bananas, you add not only flavor, but nutrients your body needs to stay healthy and fit. Yonanas is a great way to introduce fruit (or even veggies) into your kids diet, at any time of the day. 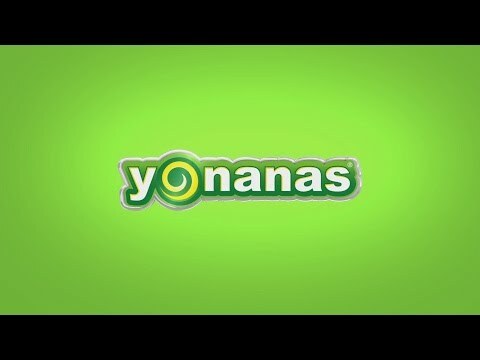 Yonanas lets you decide the ingredients, so if you are lactose intolerant, a vegetarian, vegan, practicing a special diet or just allergic to certain foods or gluten, you are always in control. At Yonanas, we believe in creating yummy goodness (at dessert or anytime) that’s fun to make! So if you are not satisfied with our product, we are not satisfied and will refund your purchase within 30 days. No questions asked.